Leaving the M6 at J34 following signs for City centre. Continue along Caton Road, entering the one way system at a set of traffic lights, remain in the right hand lane. Staying in the right hand lane follow the one way system all the way into the town centre. After driving through Dalton Square with the Town Hall on your left you will see Kwik Fit on your right, staying in the right hand lane at the lights you will turn back on yourself, staying in the right hand land continue down the hill passing Kentucky Fried Chicken on your right and further down the hill the cinema. Common Garden Street is the next turning on the right after the cinema, the Market Hall car park is on the left up a ramp after the bus stop. 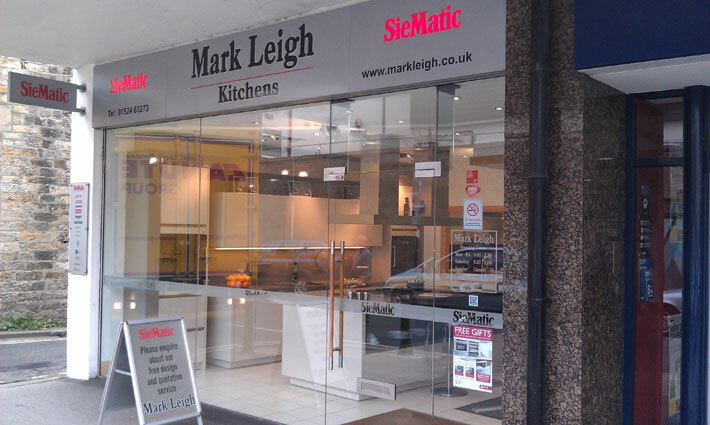 Leaving the car park on foot you will find Mark Leigh Kitchens on the other side of the road to the car park, opposite the entrance to Marks and Spencer.